At ForwardJump Marketing, we focus on bringing our clients top notch user experience and branding that help companies effortlessly deliver information about their advanced services and products with elegant design solutions. We work to bring our clients’ brand and feel to the forefront of their customers’ experience through careful consideration of color, typography, and site layout. We design modern Websites and mobile apps that are easy to use and beautiful to see. We also create logos, animations PowerPoints, brochures and other marketing collateral. 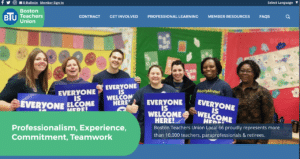 Boston Teachers Union (BTU) Local 66 represents more than 10,000 teachers, paraprofessionals and retirees, making it one of the largest public school teachers unions in the country. ForwardJump started working with BTU in 2015, when we migrated the union’s Website from Drupal into WordPress. 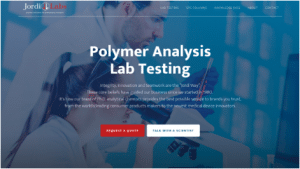 Jordi Labs is a second-generation family-run business that helps companies with polymer (plastics) lab testing. The company historically focused few resources on marketing or advertising, instead relying on word of mouth referrals. ForwardJump helps Jordi Labs generate leads and sales through content marketing. We designed and developed UnafraidEducators.org to solve a problem: More and more educators were fielding questions from parents, students and peers concerned about crackdowns on students and families without legal documentation to live in the United States. We started by using information architecture to structure the site’s content. Then, we created a design that would be inviting and informative for a variety of audiences. What we created has now become a go-to site for people looking for help solving a vexing problem. 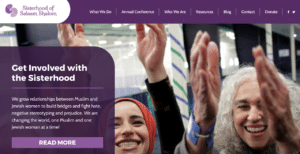 SOSSPeace.org is a nonprofit organization that connects Jewish and Muslim women in a grassroots effort to promote peace and understanding. ForwardJump has been working with this growing group for more than 4 years. In 2016, we redesigned and rebuilt its Website to accentuate the passion and energy of its members and the importance of its work. Soon after the redesigned site went live, SOSSPeace.org was featured in the New York Times. Due to the integrity of the site and our advanced Web hosting infrastructure, the site withstood the sudden surge in traffic.